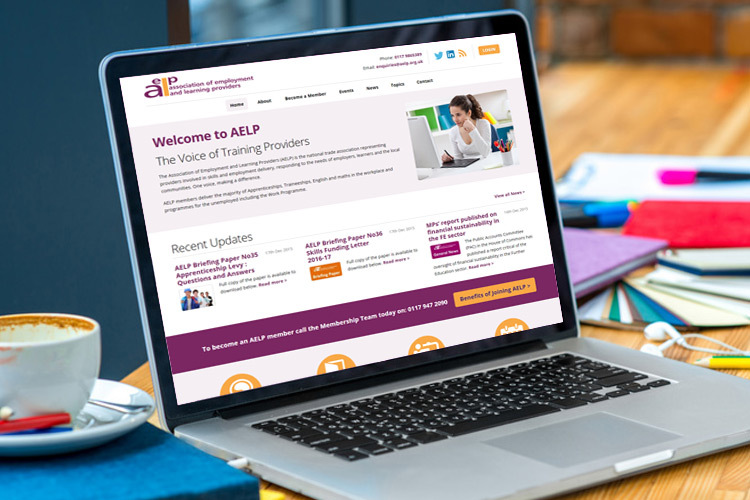 AELP are a long standing client who approached us because of their initial, rudimentary website. We provided a completely bespoke new website, with a specialised content management system, to allow their admin team control over all, key aspects of the website. This website design process involved heavy use of planning and research to ensure that the website structure and user experience was highly tuned to the target audience. The better fit you can make that interaction, the more likely it is that your online visitors will take action which are inline with your business’ goals. “AELP has been working with Glass Mountains for several years; they have helped us to develop our new website which is now mobile responsive (yeh!) and search engine friendly to popular search engine providers. Joel and his team have enabled us with our online communication for our members and the wider audience. I can best described them in a one word or may be two words or probably more! Responsive, intuitive, and seems grasp the brief straight away. A fresh new, mobile friendly design. A highly bespoke method so that members can vote in accordance to the complex, AELP election rules. Ability to tag content across website to help refer website visitors to other relevant content. We are currently working on further projects with AELP. If you would like to find out how our structured and methodical process can dramatically improve the appeal and performance of your website, please contact us today.